I read Andrew Howard’s article (‘There is such a thing as society’, Eye no. 13 vol.4) with considerable interest, touching as it did on some very important matters, in particular the relationship between society and technology. Howard correctly emphasises the impossibility of assessing the impact of new technologies without analysing the social relations they embody. Capitalism, after all, is not just a collection of factories, offices, schools and so on, but a complex social system distinguished from all others by the wholesale divorce of the people who produce wealth from the means of production. This divorce is partially obscured by the institution of wage labour and the fake impartiality of the market. 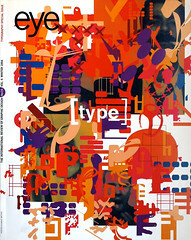 The design industry is not exempted from this dynamic, and like other sections of the workforce, most designers do not own the computers and other equipment with which they work. In fact, it is increasingly the case that those employed to use computer design packages are not awarded the grand title of ‘designer’, but are secretaries, ‘Mac operators’, personal assistants and so on. Unfortunately, the people who contribute to design journals tend to come from that thin stratum of designers who own or manage design companies or who have strong ambitions in that direction. This is most clearly manifested in the tight fit between the vested interests of these members of the design establishment and those of other sections of industry. In consequence, thoughtful commentators like Howard can feel compelled to construct a critique of contemporary design, but it never seems to raise itself above the paper on which it is written. The central problem to address here is that of alienation – not just its manifestation in the minds of workers under capitalism, but as a real physical phenomenon. Howard rightly notes the way capitalism orders our mental world through its moulding of our physical one. The logical consequence of this is that we cannot cure the psychological ills of society without performing the appropriate surgery on its physical body. To break the grip of alienation in the long term, we need to fight in the real world, for a future in which the vast majority of humanity seizes control of its own destiny and uses the productive forces it has created to satisfy human needs, not the priorities of capital accumulation and profit maximisation. This project has a name: it is called socialism. In the meantime, we must support all those people, in the design industry and elsewhere, who fight for some degree of collective control over the technologies they use. In printing, for instance, this means supporting print workers’ demands that new technology be introduced only after consultation with the workers themselves. It means demanding that the labour-saving potential of computers translates into shorter working hours rather than redundancies. It means getting out of the design ghetto and offering solidarity to all those ordinary folk who struggle to assert their right to control over their lives. If this means putting your design skills at the disposal of trades unions, political parties, anti-racists, strikers and so on, then so be it. It certainly means that you cannot address all these things simply as a designer, you have to get our there and get active. Some may object that I have given no consideration to the nuts and bolts of the designer’s job, the balance between form and content, the impact of electronic media and so on. There is a good reason for this. I think it is vital to be clear about the essentials. No one knows what a ‘democratic culture’ will look like, but we can be sure that it cannot arise on the rotten foundations of our present society. However cogent and forceful are our arguments about the proper role of design (and these are important arguments to have) we should not kid ourselves that the key to liberation lies in our professional integrity. It is worth remembering that those artists and designers, such as John Heartfield, who most powerfully formulated a critique of capitalist society did so at those points in history where the masses took centre stage in political life. The best of this breed took their place within mass movements, not being content simply to understand the world, but armed with a burning desire to change it.